Item # 312469 Stash Points: 13,495 (?) This is the number of points you get in The Zumiez Stash for purchasing this item. Stash points are redeemable for exclusive rewards only available to Zumiez Stash members. To redeem your points check out the rewards catalog on thestash.zumiez.com. Get your go-to cruiser and ditch slayer, the Landyachtz Dinghy Dragon 28.5" Cruiser Complete is a compact super-tool. 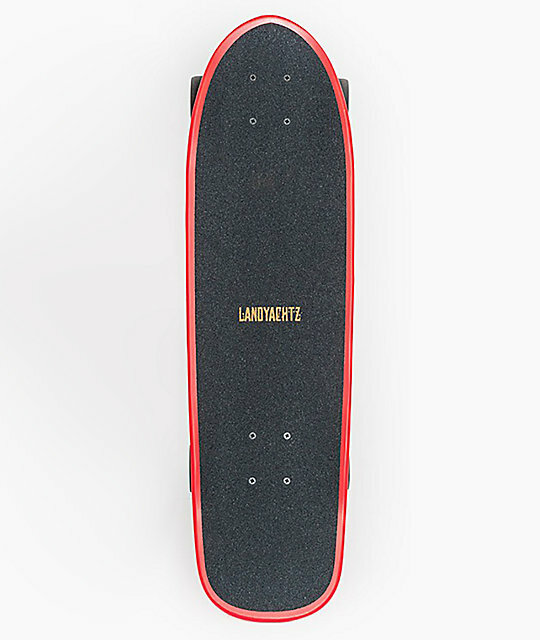 Coming with all of Landyachtz' signature premium parts from 63mm, 78a Fatty Hawgs for excellent roll-speed and grip, to Polar Bear 105mm street trucks for stable truck stalls, grinds and hill bombs. Mellow "W" concave offers a comfortable ride that fits within the arch of the rider's foot and a durable, 7-ply construction will have you shredding this set up for seasons to come. Finished with a steep pitched and squared off tail for massive pop, this board can ride it all in convenient, compact fashion. 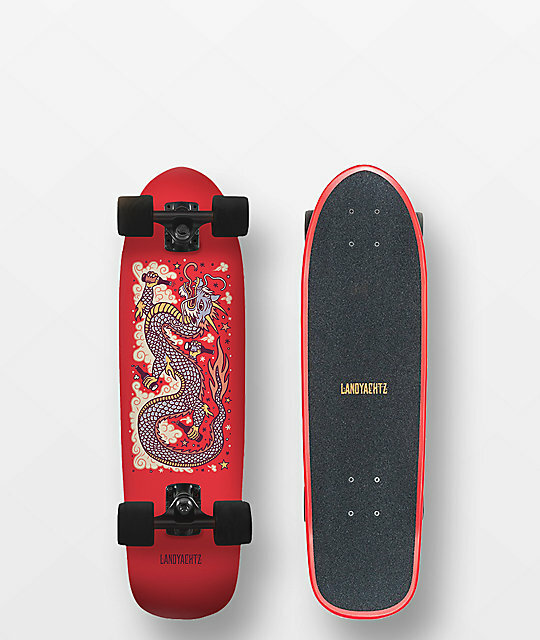 Dinghy Dragon 28.5" Cruiser Complete from Landyachtz.